The Lithuanian Navy has received and commissioned the UK Royal Navy’s two former Hunt-class ships into its fleet during a ceremony held at the Klaipeda naval base, Lithuania, following an extensive Thales UK-led refurbishment and reactivation programme. 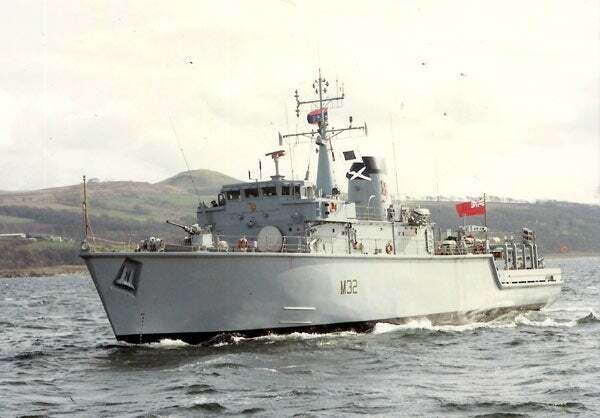 The Royal Navy’s former Hunt-class ships HMS Dulverton and HMS Cottesmore were renamed to LNS Skalvis and LNS Kuršis respectively, and have been equipped with minehunting capabilities by Thales for the Lithuanian Navy. Thales UK naval business head Ed Lowe said: "The commissioning of LNS Skalvis and LNS Kuršis now gives the Lithuanian Navy a world-class, cutting-edge minehunting capability that really is second to none." Earlier, the UK Ministry of Defence’s (MoD) Disposals Services Authority (DSA) placed orders with Thales to refit the two former British minehunters for delivery to the Lithuanian Navy. The contract involved modernisation of the platforms and installation of a new combat system including Sonar 2193, Thales MCUBE command and control system, advanced hull-mounted wideband minehunting sensor system, propulsion, degaussing, mine disposal, machinery control and surveillance systems. "The commission gives the Lithuanian Navy a world-class, cutting-edge minehunting capability." The majority of the reactivation work on the vessels has been carried out at A&P Falmouth shipyard in Cornwall, UK while Thales-led team for the programme includes Finning, Polyamp, ECA and Northrop Grumman’s Sperry Marine. The 750t Hunt-class ships have a beam of 10.5m, draught of 2.2m and provide a very low magnetic signature for mine countermeasure operations. Capable of accommodating a crew of 45 with five officers, the vessels feature Thales Sonar 2193 hull-mounted wide band sonar to support both minesweeping and minehunting as well as patrol missions. Powered by two 1.42MW Ruston-Paxman 9-59K Deltic diesel engines driving two shafts, the Hunt-class ships are armed with MSI DS 30B 30mm naval gun to fire 0.36kg shells in single-shot or burst firing up to 650 rounds a minute. Image: Royal Navy’s HMS Cottesmore at sea. Photo: file image.